International Space Station Flight Engineer Joe Acaba KE5DAR used amateur radio to speak with high school students participating in a summer program called Women in STEM High School Aerospace Scholars, or WISH. The students, selected from across the country, were attending briefings and engaging in competitive hands-on engineering activities related to space exploration and research. At the moment, the flight safety review is coming to an end. The FSpace team together with their partner NanoRacks LLC has satisfied the technical requirements and standards set by the launch vehicle provider. If everything goes according to plan, the F-1 CubeSat will be delivered to Japan by the end of June. Then along with four other CubeSats (RAIKO, WE-WISH, FITSAT-1 and TechEdSat) F-1 will be loaded onboard HTV-3 “Kounotori” transfer vehicle for integration with the JAXA HII-B launch vehicle. 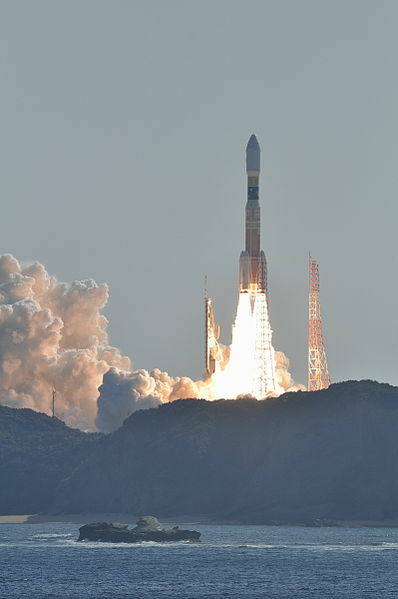 F-1 plans to launch to the International Space Station (ISS) on July 21 from Tanegashima, Japan, then in September the Japanese astronaut and radio amateur Akihiko Hoshide KE5DNI should deploy it into space from the ISS using the Kibo robot arm. It carries two Yaesu VX-3R transceivers using 145.980 and 437.485 MHz.